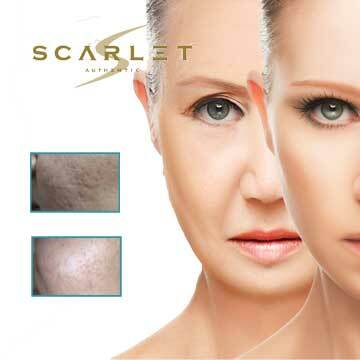 Antiaging Technology SCARLET S is the last point of non-operative skin rejuvenation technologies. This system which may concurrently treat epidermis and dermis problems stimulates subcutaneous tissue with radio-frequency using micro needles and leads to rejuvenation. These micro needles start natural healing process through stimulating skin surface when descending to subcutaneous tissue. Cell development factors are induced in the upper layer of the skin; tone differences, acne scars, wound scars, spots, fine wrinkles, enlarged pores may be treated with this method, skin can take a young and firm appearance, chin may become more apparent, jowl correction may be done. It’s most important feature is yielding excellent outcomes through making a total care and being extremely painless. Various problems may be practically resolved with this method without the need for an operation. It is preferred due to being very economic compared to operative methods, short healing duration and providing stable energy. SCARLET S is the only available system which may go into 0.5-3.5 mm depth and provide radio-frequency energy to the whole region enables to concurrently treat epidermis and dermis problems as it influences all skin layers. Field of use of Scarlet S? Are side effects seen after SCARLET S? No side effects develop during or after SCARLET S, it is a quite safe system. It has without shock technology, it does not lead to ecchymosis, hemorrhage, needle scar. Is SCARLET S a painful procedure? Minimum pain is felt. The patient is prepared for the procedure using local anesthetic 30 min before the treatment. To whom SCARLET S may be applied?? It may be applied to all age groups of males and females, to all skin types and in every season. How many sessions does SCRALET S take? Applying 3 sessions with one month intervals is ideal. Number and interval of sessions are determined by the doctor. Difference in the skin is immediately seen and gradually increases. Skin which loses collagen and sags due to gravity gains a young appearance together with novel collagen production. Its effect lasts for about one year. Is care needed after SCARLET S? A mild hyperemia which turns back 1-2 hours later develops. The patient may return to social life immediately. Skin humidifying and sunscreen use are recommended. No other care is required. How long does SCARLET S take? 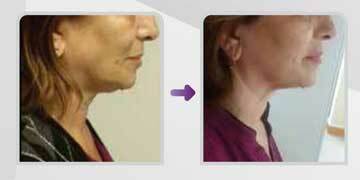 The procedure lasts for 20-40 min depending on the need of the patient. What is the price for SCARLET S? The price varies depending on the application site and number of sessions. You had better see your doctor. It does not allow even 0.1 mm of error! Fractional micro needles which may descend up to 3.5 mm depth and create the same thermal effect in the whole region induce collagen fibers through creating controlled damage. Rejuvenation, correction and firming effect are rapidly recognized.